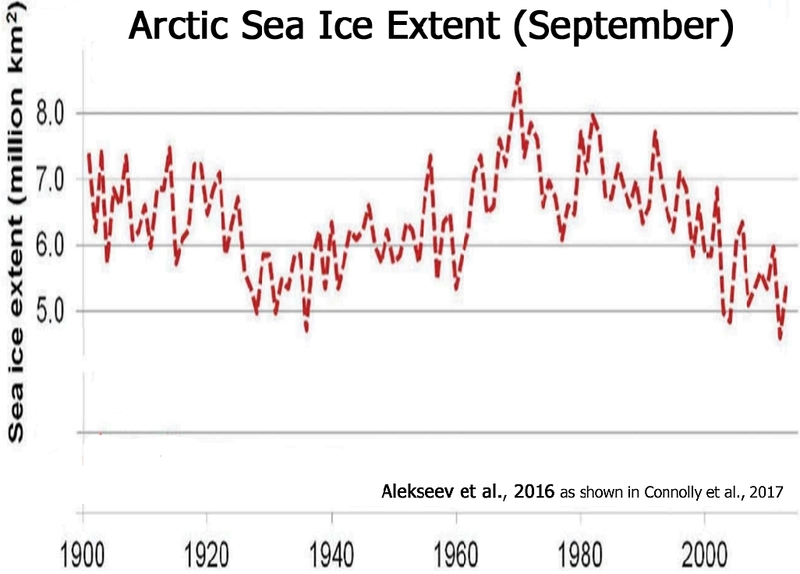 In newly published papers, scientists have reported that Arctic sea ice extent grew during the decades from the 1940s to the 1980s before declining after the 1980s. The Arctic sea ice trend has thus undergone an oscillation rather than a linear recession, contradicting the models. 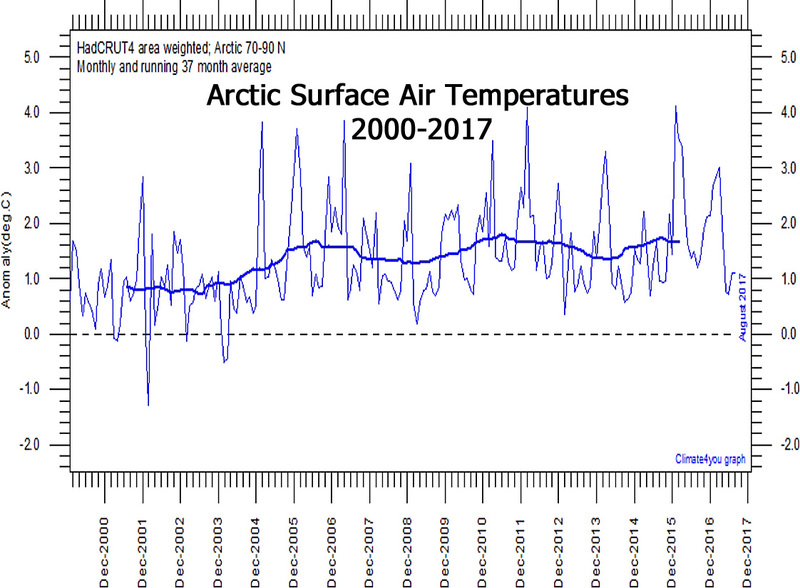 Furthermore, the instrumental record indicates that Arctic temperatures have stopped rising since about 2005. On the other side of the planet, the sea ice surrounding Antarctica has been growing since the 1970s, or for nearly 40 years now. This sea ice expansion coincides with an overall Southern Ocean cooling trend of about -0.3°C per decade since 1979.